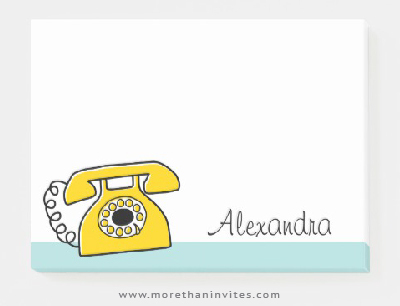 Post-it notes featuring a retro, yellow telephone. Aqua blue border at the bottom and customizable name. Available from Zazzle.